my '99 cavalier is at 302k the odometer is really dim, not sure if it will show up in a pic. 300 I6 in the f150? I've always wanted an I6 with a manual. I had an 87 4x4 with I6 and 4spd manual in high school. I got rid of it with 280k only cause I found a nice price on a 250 diesel. 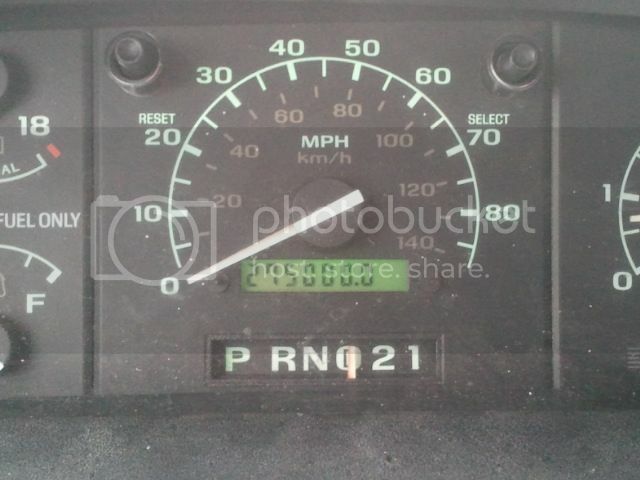 Both were good trucks and went over 300k.